Review This space is left intentionally blank. It's where our HTC U12+ flagship review would go. So why is it missing? Last year HTC won back mindshare with its flagship U11 phone, the elegance and appealing imaging and video of which made it an attractive alternative to big-spending rivals. An even stronger U11+ a few months later proved that this was no one-off. But with the U12+, HTC has, like Liverpool's Loris Karius, committed two quite inexplicable unforced errors. Here's the problem. These flaws are not minor – they significantly affect the phone's usability. They do so to such an extent, in fact, that they cast a shadow over the phone's many strong points. But we cannot recommend the phone to anyone given its current state. How so? 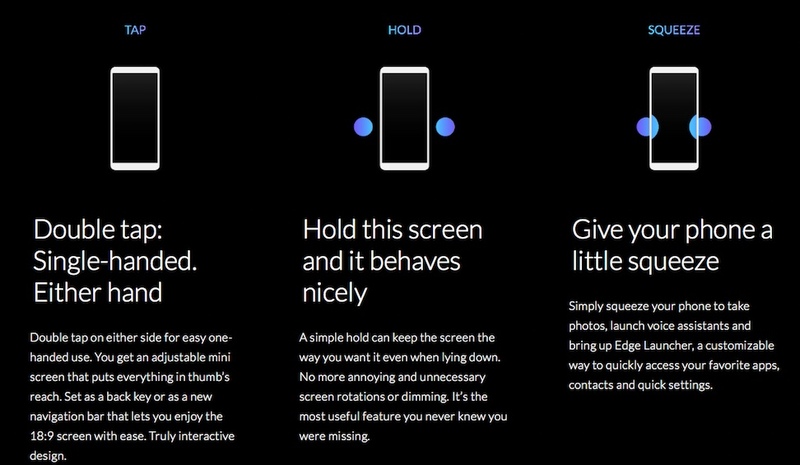 Firstly, the HTC replaced the traditional mechanical switch buttons with rigid, touch-sensitive knobs that provide haptic feedback, instead of the traditional click. Secondly, the HTC U12+ supports extra gestures to touch sensitive strips on the side of the phone, a more ambitious implementation of the squeeze gesture UI HTC calls Edge Sense. Although Apple made a similar mechanical-to-rigid change quite successfully with the iPhone 7 (home button) and MacBook Pro (touch pad), the HTC U12+ buttons are very poorly implemented. They require different pressure at different times. And the touch-sensitive strips trigger actions at random. The latter can be cancelled out by turning it off, while retaining the squeeze gestures, which work well. But this leaves us with a dilemma. It isn't unusual to find flaws in preview smartphone software, and these are typically corrected fairly quickly. We don't have the time or traffic pressure that gadget blogs are under to rush out a review, and in any case, HTC isn't shipping the phone to customers until "late June." It's not in people's hands yet, so waiting seems fair. HTC is aware of the issues and has promised a firmware update. Reviews have appeared highlighting the issue; this one by Alex Dobie is scrupulously fair and contains the best description of the two sets of problems. Saying absolutely nothing about a major brand flagship – HTC says it's the only flagship this year – seems odd. We don't wish to suppress a story. But we're going to wait to see how HTC handles the issue. Not indefinitely, of course, and should HTC begin shipping phones into the market with these issues there's little point waiting further. So for now, there's no review.